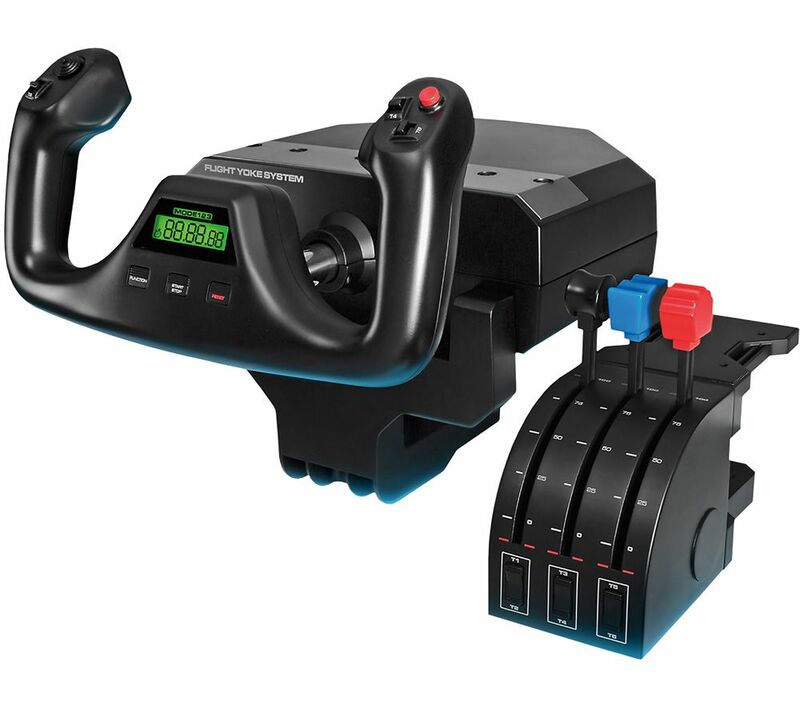 The Saitek The Pro Flight Yoke System will make any flight simulation game much more enjoyable, fun and realistic, as it is designed to replicate flight controls and make you feel as though you are actually in the cockpit and in perfect control of your flight! With precision elevator control and 14 button controls (including 6 on the quadrant), whatever game you are playing, the Pro Flight System PC Joystick will put you in a position of control. Featuring a 3-position mode switch, you'll have all perspectives of your flight covered, and as the The Pro Flight Yoke System, comes with a dual desk clamp ensuring you'll always feel secure whilst on your flight! Our Granddaughter absolutely loves it.